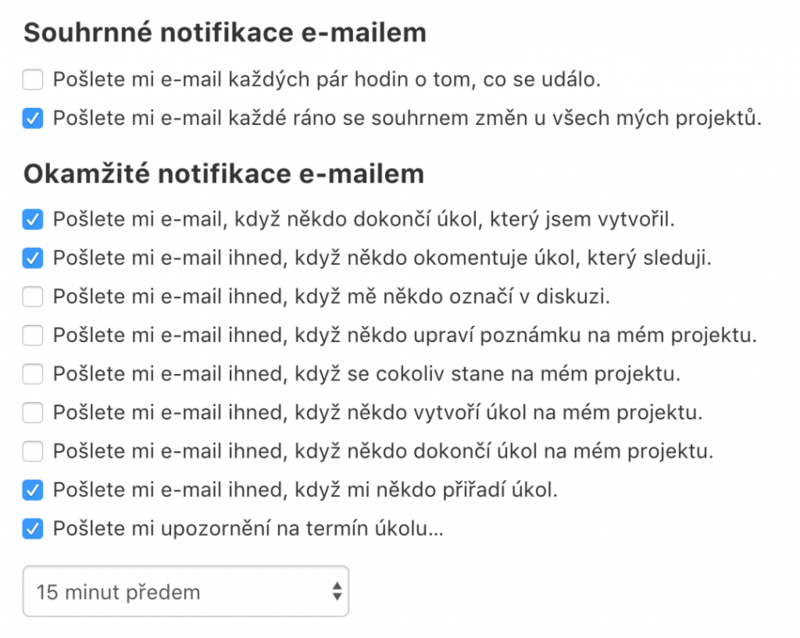 Because we know that an email is an important tool, you can set up your notifications exactly according to your needs and preferences. Preview of the notification for a new comment sent by e-mail. 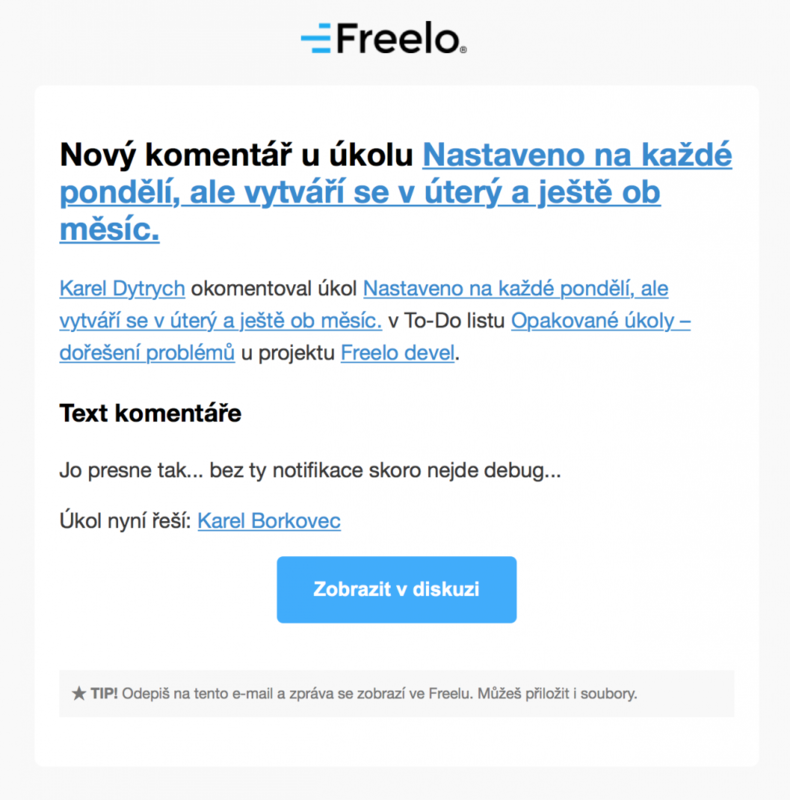 Just reply to an email and your reply and the attachment appear directly in Freelo.